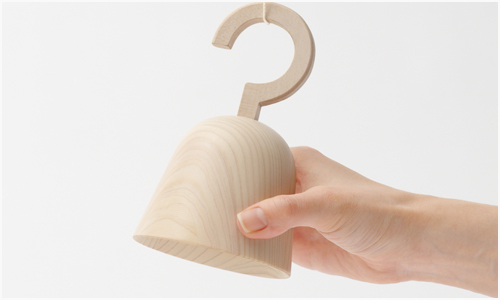 Nendo designed these Bell Orgel music boxes for Japanese department store Isetan. This was in cooperation with Japanese composer Ryuichi Sakamoto’s “moretrees” initative, which promotes the protection of forests. 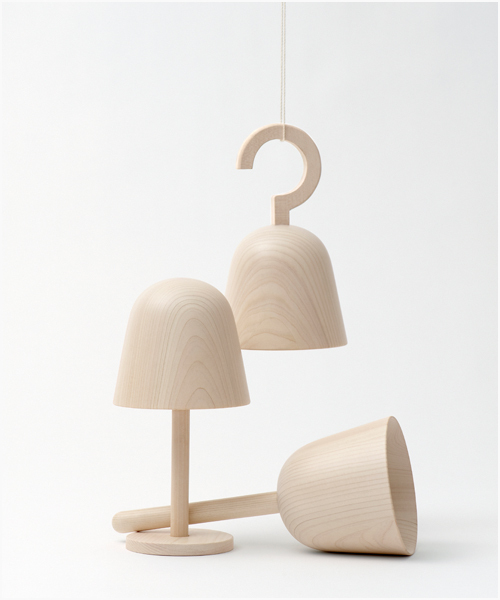 The bell-shaped music boxes were made of Japanese cypress (hinoki), harvested from sustainable forest management practices, into three varieties: hand bell, standing bell and hanging bell. 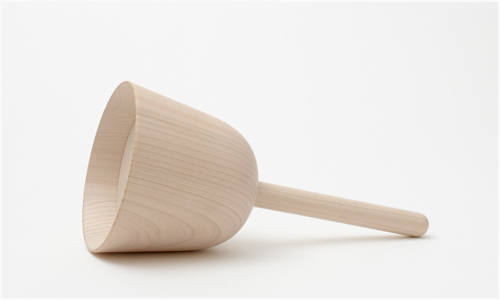 The handbell is designed to stop playing its melody when laid on its side. Turning the bell on the standing bell winds the music box mechanism, making it play. In both music boxes, the ‘bell’ itself functions as a switch, making a connection to the traditional way of ringing bells. 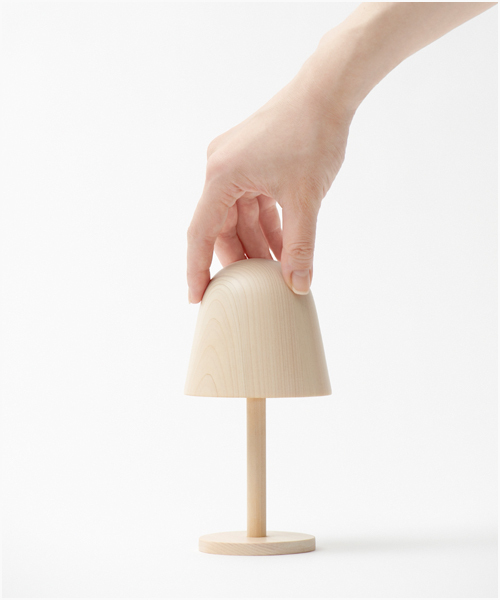 The form and material of these wooden bell-shaped boxes softens the metallic sound of the chimes. 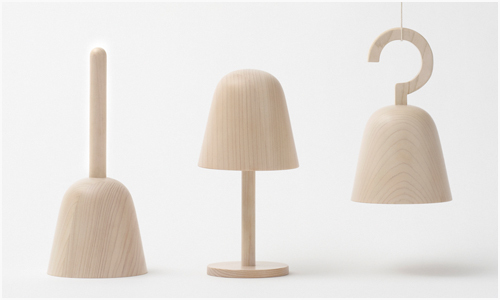 These wooden music boxes were then decorated by 57 different designers and design groups and set for sale at the Isetan store, and a portion of the proceeds will go to the moretrees initiative. 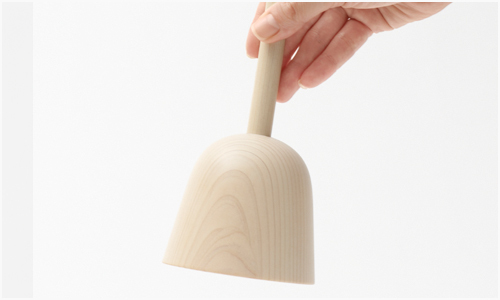 You can find these exclusively at Isetan stores in Japan. The plain 3-piece set is priced at 7,900 yen (68€ US$99), , while the decorated 3-piece sets are priced at 20,000 yen (171€ US$250) per set.